Connect with powerful c-level creatives with this vice president of design email list. Pulling together and consolidating all of the direct contact data you need when designing the perfect email marketing campaign, our VP of design email list is the ideal way to craft real connections. Do you have an artistic product, design software solution, creative app, idea, or marketing service to pitch to a vice president of creative design? Don't just talk to one; target an array of c-level professionals with our chief creatives and design vice presidents email database! We've done all the work for you by sorting professionals by their job title. Those with relevant titles, including chief design officers, VPs of creative, and VP of design are all packed into one easy-to-download email list. Paint with a wide brush and reach more professional, business sales leads faster! 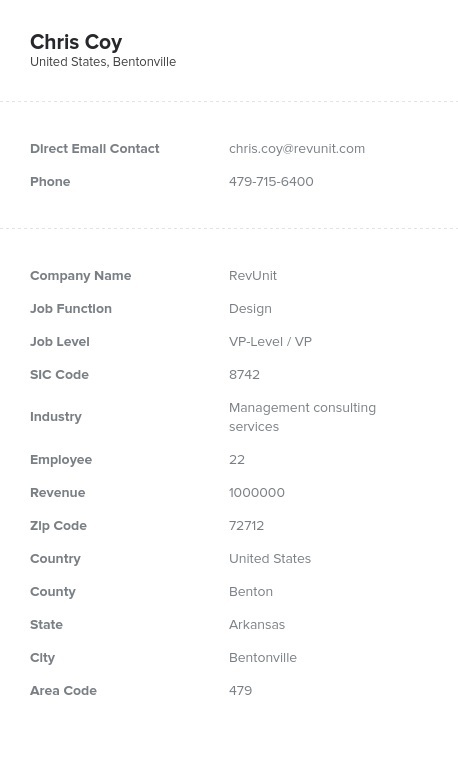 Download our human-verified VP of design email database as a .CSV file and start connecting in minutes by pulling it straight into your CRM. It's a versatile tool that can serve many functions; you can use it as a design VP mailing list, emailing list, or cold-calling directory because of its many types of information. You can find direct contact data and exact names, allowing you to reach VPs of design in whichever way you like. Reach out to these artistic leaders of the corporate world and make more business-to-business (B2B) sales. With our chief of creative design mailing list, you'll be able to email leads who would like to know more about your creative products, solutions, and services. Buy a design vice president mailing list today and see how having a better business database can lead to better results!